2019 Mount Washington Valley Ice Fest! Re: 2019 Mount Washington Valley Ice Fest! Arc'teryx is back for another year of MWV Ice Fest! Based out of British Columbia, this gear is made by and for people who actually get out. Check out a sneak peek at some of their demo fleet on the blog today! Anne Gilbert Chase will be presenting on Saturday evening this year at Ice Fest! Her presentation "Alpine Dreams: From India to Iran and the Space Between" will include highlights from her recent trips to India, Alaska and Iran. Big thanks to Petzlfor sending one of our favorite crushers!! Angela VanWiemeersch will be presenting Friday evening this year at Ice Fest! We're stoked to check out her presentation full of images and video of her climbing exploits in incredibly diverse landscapes. She'll be sharing her climbing experiences on everything from super committing desert ice in Zion, to remote Lake Superior ice, the Cairngorm Plateau and beyond. Thanks Grivel for sending Angela our way! She will be guiding clinics Saturday and Sunday!! Asolo will be back at MWV Ice Fest with a full fleet of demo boots, including the Eiger GV, pictured here on guest guide Peter Doucette on Lichen Delight on Cathedral Ledge. : Majka Burhardt. Check out the demo fleet on the blog today! Safe travel practices are important for all outdoor recreationalists in the winter months. MWV Ice Fest offers a three day AIARE Level I course taught by John Kascenska. There are a just few spots left, call the office to grab yours soon (603) 356-7064! A big welcome to Eliteclimb to MWV Ice Fest this year! We're psyched to demo these custom tools made in Poland. They are the only certified composite tools out there! Check 'em out on the blog today! We're so psyched to have our friends at Boogalows Island BBQ back at Ice Fest serving up their authentic Caribbean BBQ again this year! We dream about fried plantains all year! "Bites" from the food truck are included in your clinic registration (no hangry folks allowed! ), and they will also have a full menu at Theatre in the Wood for the evening events, and Apres at IME, for purchase. It's a White Mountains Eastside-Westside split on the blog today! Ted Teegarden based out of Bethlehem, NH and Sam Bendroth from North Conway, NH. Ted is the Director of Outdoor Education at the The White Mountain School in Bethlehem and Sam guides for Synnott Mountain Guides in Intervale. Dawn Glanc to guest guide! 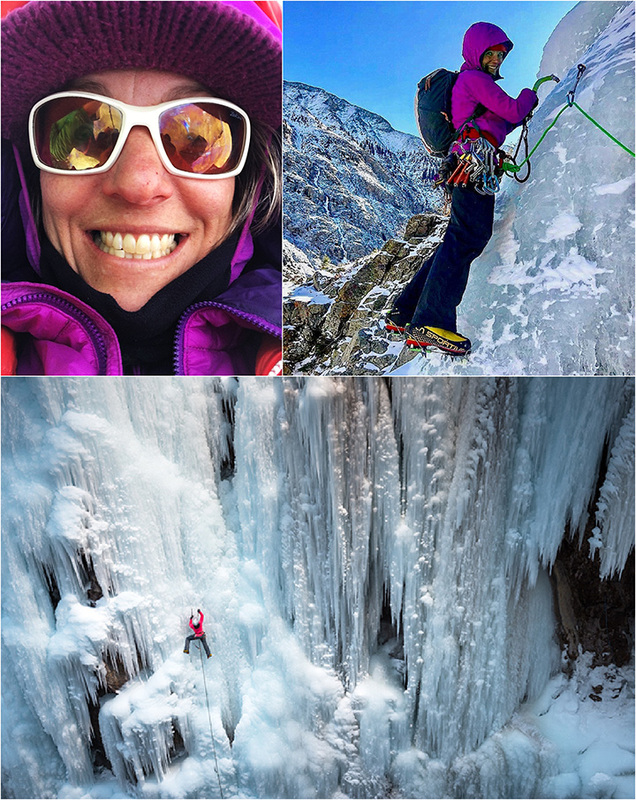 Some sweet news for you We're super stoked to have Outdoor Research athlete and professional guide Dawn Glanc at the 2019 Mount Washington Valley Ice Fest! As one of the country's top mixed climbers, she'll be guiding Mixed Climbing Clinics all weekend! We're so psyched to have this lady crusher! Once you're done lapping all the tree skiing you can find on this powdah day ❄️❄️❄️hop on over to the blog to check out the demo boots we'll have from SCARPA this year! We have some more Mount Washington Valley guides up on the blog for you! You know you've come to the right place to climb with the likes of these fellas calling this place home. Welcome back Michael Wejchert Freddie Wilkinson and Marc Chauvin! Keeping the local ♥️going! Guest guides Sarah Garlick and Jim Surette are on the blog today! Stoked to have a bevy of Patagonia demo gear heading your way! Jackets, puffies and backpacks, oh my! They'll also be traveling with one of their folks from their Worn Wear program. Check out the video in the blog to learn more about Worn Wear and how to extend the life of your gear, as well as links to all the gear you can try out Ice Fest weekend!